For the most accurate measurements, have someone else do the measuring, stand tall, yet relaxed and let the arms hang down at the sides. Keep the tape measure snug against the body and the tape measure parallel to the ground. Measurements are to be used as general guidelines for the corresponding sizes. Chest & Bust: For jackets and vests, be sure to measure over a shirt or light sweater for the most accurate reading. Measure just under the arms and across the chest at the fullest point of the chest. Waist: Measure loosely around the waist at the preferred height of waistband, at the natural waist for most fits or slightly lower for low-rise and boot cut. 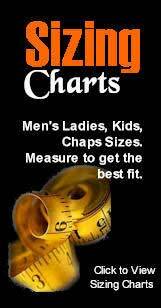 If measuring for chaps, measure over a pair of pants or jeans for correct sizing. Inseam: Measure along the inner leg from the crotch to the sole of the shoe or boot. Hip: Simply measure all the way around the body about 4 inches below the waist catching the broadest part of the hips. Men's Tall sizes are 1 1/2" to 2" longer in both sleeve length and body length. Women's Tall sizes for jackets and tops are 1 1/2" longer in sleeve length and body length. 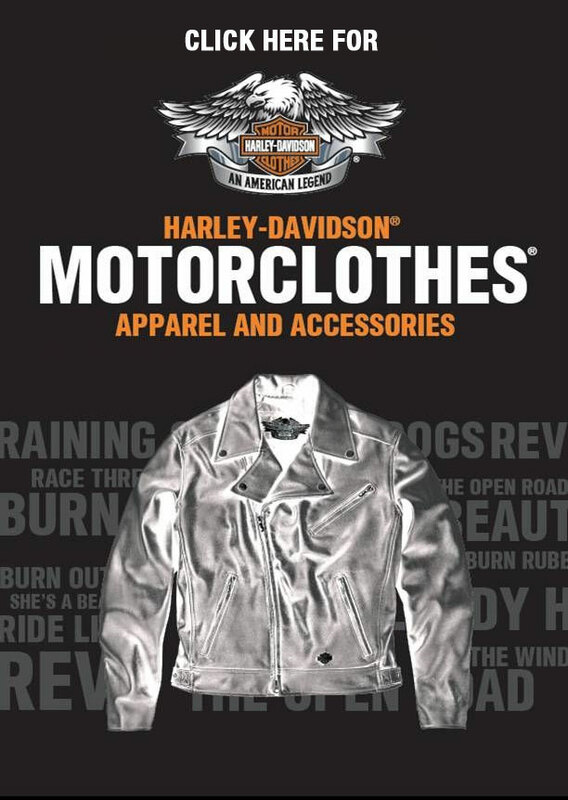 Women's Petite sizes for jackets and tops are 1 1/2" shorter in sleeve length and body length. 33 1/2 - 34 1/2"
25 1/2 - 26 1/2"
40 1/2 - 41 1/2"
43 1/2 - 45 1/2"
Gloves Wrap a tape measure around the fullest part of the hand, excluding the thumb. Be sure to measure each hand separately, and use the largest measurement for sizing. Chap Sizing Chaps are left unfinished at the bottom edge so they may be cut down to the proper length to fit your leg. 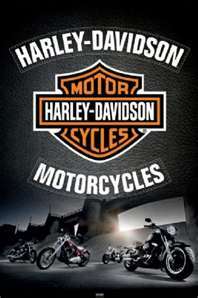 It is recommended that you visit your local leather shop to have any alterations done to your chaps. Chaps that have been altered or appear to have been worn are not returnable. With proper care, leather goods can last a lifetime! As leather stretches with wear, it is important that you choose a very snug fitting chap. Wearing your riding jeans, boots and belt, have a friend measure as shown below. Please do not add extra to any measurement - proper fitting chaps should fit nice and snug! Chaps should never be baggy or loose. 1. Chap Waist: Measured around bottom edge of your belt 2. Upper Thigh: Measured around fullest part of thigh. As most chaps are adjustable in the waist and can be cut for length (leather does not fray, so hemming is unneccessary), the most important measurement is the thigh. 3. Inseam: With boots on, measure inner leg down to floor. Short Inseams fit those who wear up to a 33" pant inseam and actually measure approximately 31" Regular Insteams fit those who wear up to a 35" pant inseam and actually measure approximately 33" Tall Insteams fit those who wear up to a 37" pant inseam and actually measure approximately 35" Still not sure about sizing? Try the old mail order trick, order two sizes and return one pair! Please don't hesitate to contact us for advice or to make an exchange.